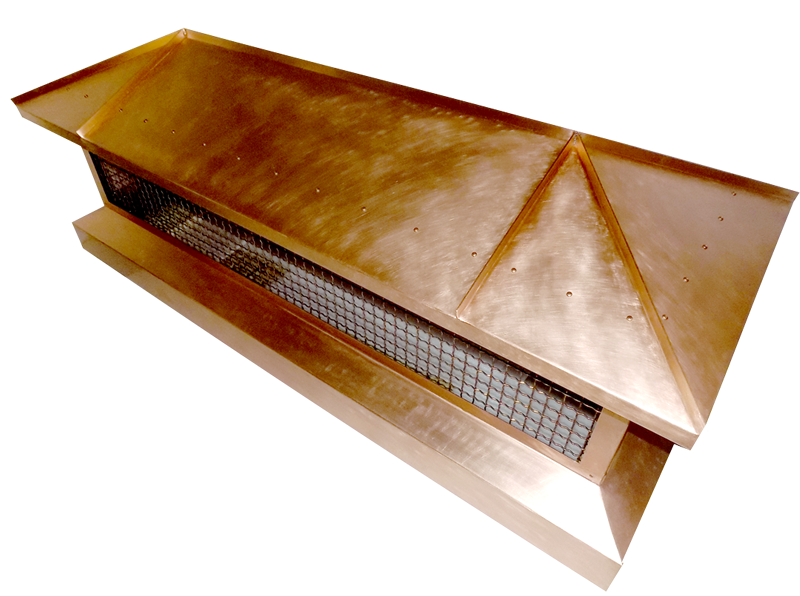 Chimney Cap 1 Lattice copper cap for a chimney or fireplace flue cover. Hammered copper, steel mesh. 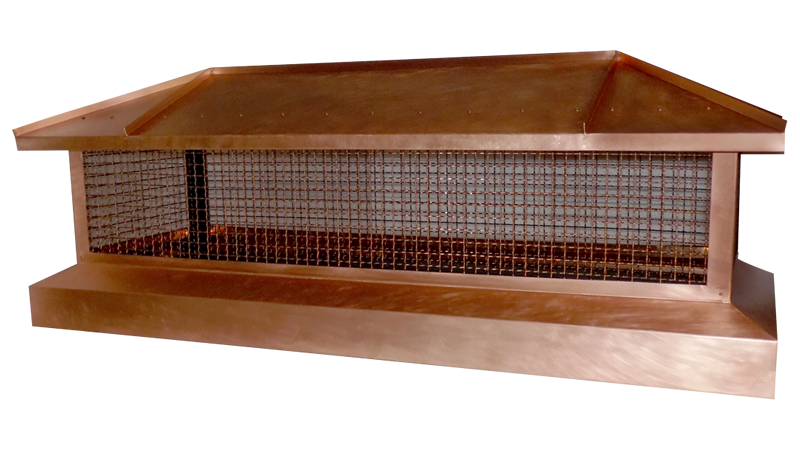 Chimney Cap 2 Custom copper cap for a chimney or fireplace cap with decorative copper elements. Chimney Cap 3 Custom copper chimney cap flue cover with decorative wavy copper bars. Chimney Cap 5 Custom sealed hammered copper chimney cap finished in medium copper.